Serve your guest with this tasty impressive appetizer. 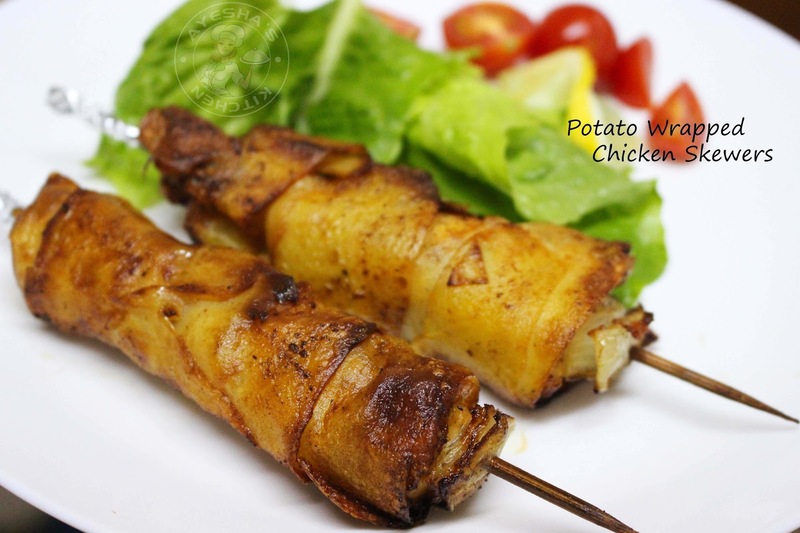 This chicken skewers wrapped with thin potato slice is a simple creative yet delectable party appetizer recipe. Trust me, i highly recommend you to try this chicken skewers recipe. I am bound to tired after trying the same chicken skewer recipes all the time. Get bored of chicken curry recipes, roasted chicken and of course the baked and grilled chicken recipes. But it is pretty damn good when we try something creative and impressive with this bird. 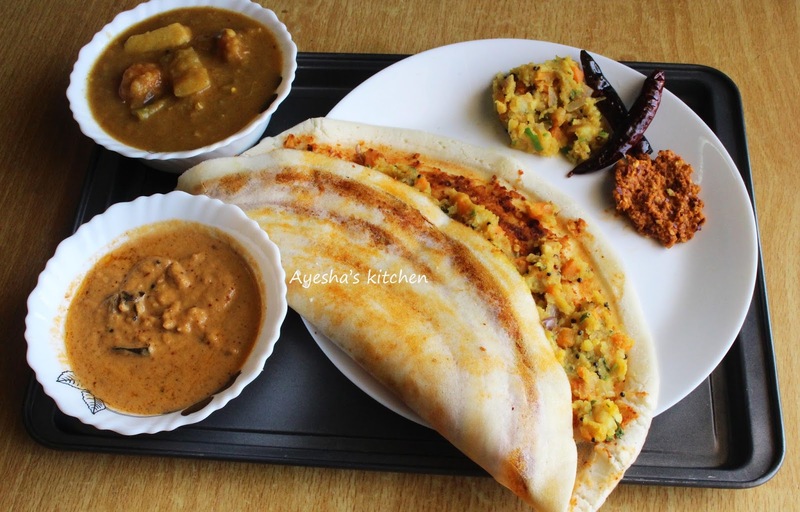 Those who love creative cooking must try this for sure. This is a wonderful way to serve chicken skewers and is pretty easy too. This chicken recipe isn't just for adults, you can make this for your kids as they are a great finger food lovers. They love the combination of french fries and chicken to the core. Though the wrapping process is time consuming, it tastes really good and worth trying .It resembles the bacon wrapped chicken. Here cubed chicken pieces( preferably chicken breast) are marinated and then skewered. Later it is wrapped with thin layers of potato slices. You can slice the potato with the help of vegetable slicer. And then deep fried. Recently i happened to see a face book video of the same recipe. I was really impressed after watching that video and immediately tried the same for my family. 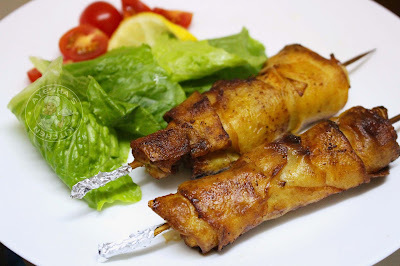 An awesome recipe and i really enjoyed making this deep fried chicken skewers. 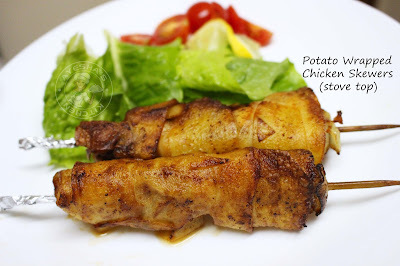 Here is the recipe showing how to make chicken wrapped with potato skewers / easy appetizer ideas /simple party appetizers /recipes for chicken breast / chicken and potatoes recipes /easy dinner party ideas. Wash the chicken breast and pat dry. Cut them into small cubes. Preferably thin cubes . Check the image. Marinate it with all the ingredients given under for marination and set aside. Now skewer the marinated chicken along cubed onion. Set aside. Wash and peel the potato using a vegetable peeler. Now cut the potato in a circular motion using the vegetable peeler and make thin long potato slice (less width). It needs patience and little tricky too. So do not worry if it broken in between, you can adjust it while wrapping. You can also slice it very thinly using a sharp knife instead. Heat oil in a frying pan (for deep frying). Fry this chicken skewers over a medium flame until done (less than 8 minutes). Flip gently only when one side is done. Do not fry over a high flame as it will burn the wrapped potato from outside leaving uncooked inside. It is really yummy. A must try recipe. Yes, an oven is not at all needed for baking your favorite cakes. 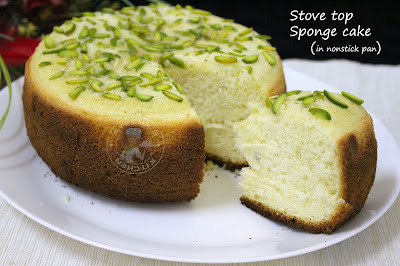 Trust me, you can actually make all kinds of yummy, airy cakes without an oven. 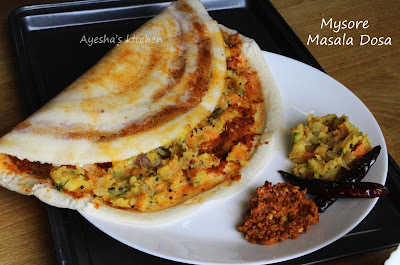 It will come out really well with very light and moist texture, same as of those made in an oven. So if u love cakes, try these no-bake cake recipes at home. No matter whether you have an oven or not. Sure, you won't go to bakeries for cakes once you try these cake recipes. We know that Christmas is coming closer. Most of us will be busy in making Christmas trees, sending Christmas cards, buying and sending gifts etc. But the importance of all is the preparation of Christmas cake or our favorite cakes for Christmas. Right? We will start googling months before the Christmas regarding what to prepare for Christmas day and Christmas Eve. For me, Christmas is all about sharing the love. It is the time to open our hearts to god. But most of the people will be engaged in opening the gifts and presents only..lol. Let us have a ride through some simple no bake cakes or cakes without oven recipes. So don't ever say that I couldn't bake a cake for this Christmas as I don't have an oven and never go for store-bought cakes. 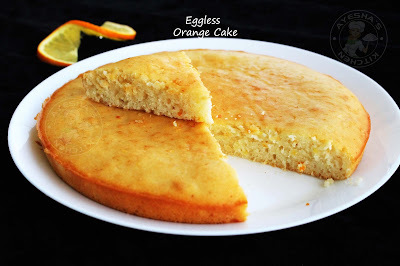 These simple cake recipes will help you for sure. 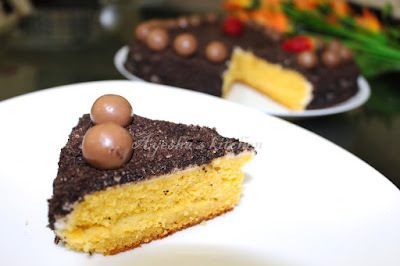 A classic cake which is buttery rich with full of pineapple flavor. 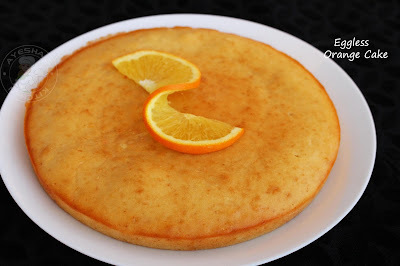 An upside down pineapple cake is a cake which is baked in a single pan and then turned over and served upside down. 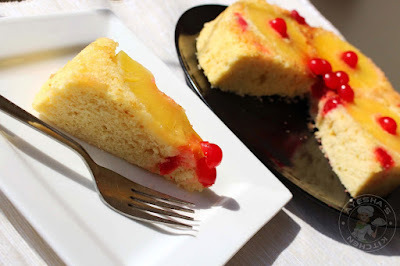 Here am sharing with you an easy moist pineapple upside down cake without an oven. This super moist chocolate cake is baked without an oven. Yes, the oven is not at all needed to make the best cake of your life. Speaking of my black forest cake..it is chocolaty, creamy, super moist, cherry(ish) with some bites of chocolate shavings. 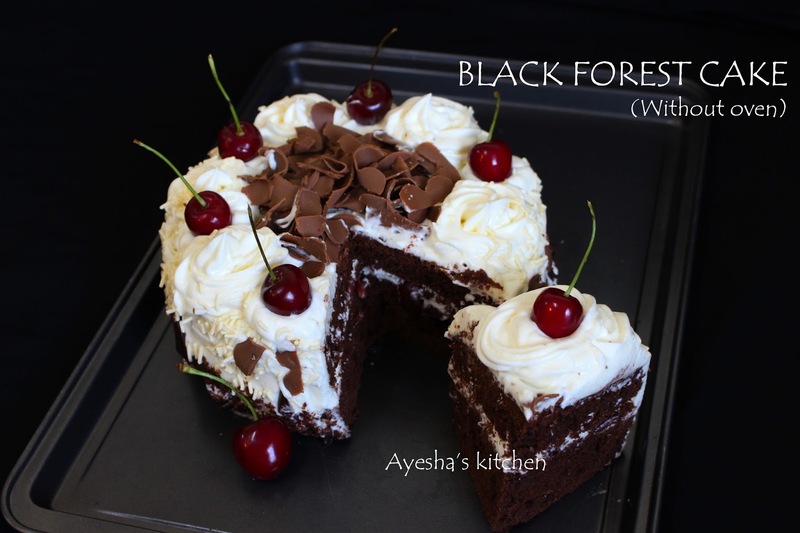 Nowadays, black forest and white forest cakes are the attraction of any parties or functions, especially for birthday or wedding. Its very simple to find a recipe for carrot cake. But its very hard to find the best healthy super moist carrot cake recipe made on the stovetop without an oven. A light and delicate sponge cake on the stove top with only three ingredients. 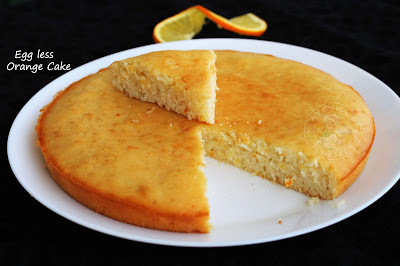 No baking powder, no baking soda, no vanilla and no oil .And the most important part is...here the cake is prepared in a nonstick cookware. It is quite interesting and wonderful. right? A three ingredient cake recipe. This is one of the traditional ways for baking cake without an oven. Don't be upset, if you do not have a swiss roll tin / swiss roll pan. This recipe will give you a perfect fluffy cake roll. There are no such common problems like the crust cracks while rolling, the cake is not soft and fluffy, the crust is sticking to the cling film and all. 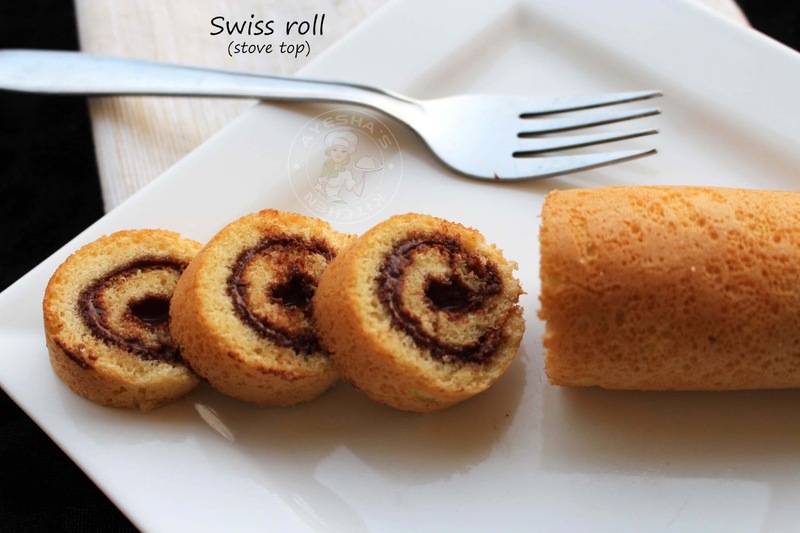 This is a perfect swiss roll recipe for a medium sized swiss roll/cake roll. Zebra birthday cakes / Zebra cupcakes are very much familiar to us which reminds of our childhood probably to many of us. 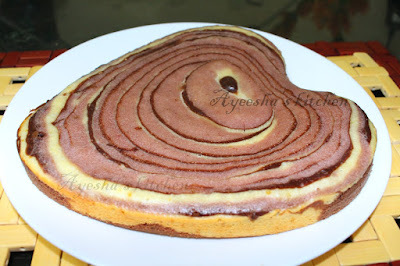 It is a combination of simple vanilla cake, strawberry cake and chocolate cake. 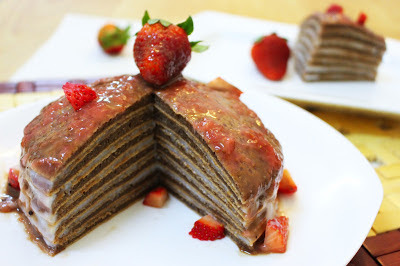 The concept of pancake cake is really an outstanding one as it is less time consuming than the ordinary cakes and moreover people love to make more creamy layers with less effort. You don't even need an oven for this special flat, thin, round layered cake.